Here you will get the fabulous news from Pakistan Marine Academy Admission 2018 | Join Merchant Navy after 12th 2018 PMA Admission 57th Application Form Download. 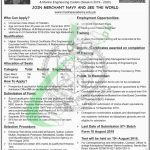 For all the Pakistani nationality holders its the great opportunity from Pakistan Marine Academy, Govt of Pakistan is inviting the energetic, fresh and diligent applicants to Join Pakistan Merchant Navy to get admission in its 57th Batch of Nautical (Deck) & Marine Engineering Cadets (Session 2019-2020). For this only unmarried males are eligible to apply. So, all the Pakistani male candidates who want to Join Merchant Navy and wanted to be the part of it so one can apply before the last date and now let's tap towards its further details below heading wise. PMA is abbreviated as Pakistan Marine Academy is the Federal Govt academy which is having the direct link with Merchant Navy and attached department of Ports and Shipping Wing and is held responsible for training the Merchant Navy Officers. PMA is located in Karachi, Sindh. Being a Federal Govt body it offers Govt jobs of different levels. Only Pakistani nationality holders are welcome to apply but on the other hand, FATA/Gilgit Baltistan/AJK and Balochistan candidates are also eligible to apply. Only unmarried males citizens of Pakistan are liable to submit their applications. Age limit should not be above than 20 years as on 31st December 2018 and the age limits for ATA/Gilgit Baltistan/AJK and Balochistan candidates should be 21 years as on 31st December 2018. HSSC pass applicants in (Pre-Engineering)/ equivalent with Physics, Chemistry and Mathis with 55% marks are eligible whereas those who are waiting for their result may also apply but in a condition that they can provide their result till 10th September 2018. Prospectus and application form can be obtained from the official site of PMA & can be had from PMA Head Office. Applicants have to submit pay order/bank draft of Rs. 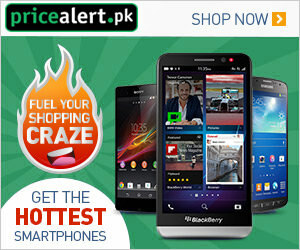 2500/ in NBP Branch Pakistan Marine Academy (Code0293). Those candidates who are applying through Self Finance so they have to pay order/bank draft of Rs. 300,000. Self Finance fee is refundable if candidates will be selected on open merit. Entrance Test will be conducted in Karachi, Sukkur, Lahore, Multan, Muzaffarabad, Peshawar, Abbottabad, Quetta, Gwadar, AJK bt Testing Service Agency on 19th August 2018. 45% marks must be obtained by the applicants in order to qualify Entrance Test. Medical Examination of applicants will be held on the 3rd week of September at CMH/PNS. The last date for applying is 10th August 2018. Last Date To Apply: 10th August 2018. Address: Officer Incharge Admission, Pakistan Marine Academy, Hawks Bay Road Maripur Road, Karachi.